Business owners can check the details of each plan to see advertised speeds and check it against their likely needs. However, it’s worth remembering that ISPs typically advertise the maximum speed provided by each plan, not the average speed users will receive. Businesses who suspect they’re not getting the speed advertised can use a free internet speed test (Google has one in their search engine). If it doesn’t meet expectations, it may be worth contacting the provider to find out why, and if nothing can be done, considering another provider. For these companies, the internet is essential. For example, an eCommerce business needs the internet to manage ad campaigns, update product details, and communicate with customers. No internet means money is lost. Verizon Fios’ Service Legal Agreements (SLAs) for small business services (their 99.5% guarantee) incentivize them to provide reliable internet. See full Verizon Fios review here. Spectrum Business offers impressive bundles for businesses to choose from depending on their needs. Businesses needing other services like television subscriptions or phones can combine them into a single monthly payment, simplifying financial planning and saving money. Bars can save money on a TV subscription and organize sports screenings, raising extra revenue. For example,with World Series events. Getting a phone as part of a bundle makes a business look more professional, as mobile numbers for listed businesses can make customers distrustful. A landline also means a single number can be associated with the business, useful for businesses like restaurants, where patrons call to make reservations. See full Spectrum Business review here. Businesses providing services around the clock (medical practitioners, disaster relief services, lobbying organizations, political campaigns, public relations firms, advocacy groups. Dropped internet can be inconvenient or even harmful to clients of businesses like these. Comcast’s 4G LTE backup helps address this. Being able to limit access, speed, and total bandwidth available to each visitor can also be useful to these businesses, who may have thousands of guests consuming bandwidth. See full Comcast Business review here. The extensive coverage of satellite-based providers like Viasat is a big advantage for businesses outside big cities, as many ISPs skip over large parts of the country entirely. Rural businesses rarely have access to high-speed internet, with some paying $30+ per month for download speeds below 5 mbps and uploads of less than 1 mbps. Metered Broadband 1GB – $50/mo – 35 mbps downloads/4 mbps uploads, 1GB usage limit, $10 for each additional GB of data. Unlimited plans are not available everywhere. Businesses can check Viasat’s website for local availability. See full Viasat Business review here. Some ISPs have hidden fees for essential features like routers and complicated price structures. 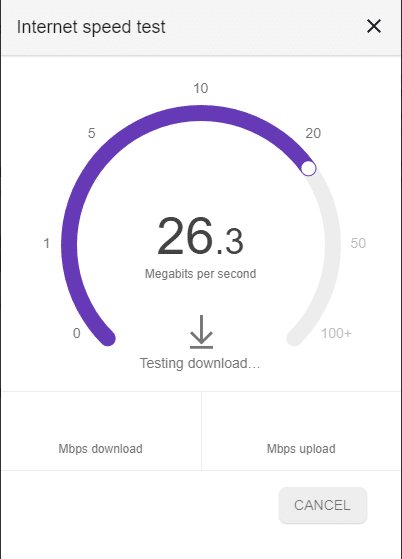 Google Fiber offers transparent and simple pricing, minimal terms and conditions, and no restrictive contracts.The end-to-end experience is far easier than with most other ISPs. As a Google company, Google Fiber are also easy to contact in emergencies. While most ISPs have customer phone support, few have a chat box like Google Fiber. By making it easy to contact customer support, Google Fiber make the user experience even better. For these businesses, Google Fiber’s simplified user experience frees time for spend on more important tasks, like product development, sales, or project management. See full Google Fiber review here. Frontier offers fast, fiber optic ‘symmetric’ connections at the cheapest price available ($29.99). Symmetric internet has upload speeds as fast as download speeds. Businesses with fast upload speeds can avoid headaches like missed production deadlines for clients, or failing to share a piece of content on social media until the right moment has passed. For these plans, prices vary depending on factors that can change from business to business. For a quote, contact a Frontier sales representative. See full Frontier review here. AT&T’s unique strength is offering gigabit internet (meaning speeds up to 1,000 mbps) with consistent nationwide prices. AT&T’s prices for gigabit internet are clearly listed online, with no need to enter a ZIP code to check prices, and no variation by location despite widespread coverage. Transparent and consistent pricing makes it easier for small businesses with locations in different states to plan financially. It’s also reassuring for customers that AT&T isn’t charging higher rates in their area compared to other areas. SaaS or cloud-based software products and services (like tech companies offering CRM systems or outsourced HR. Not having to manage different plans for each location makes financial planning easier, while all locations benefit from the efficiency that comes with gigabit internet. See full AT&T review here.